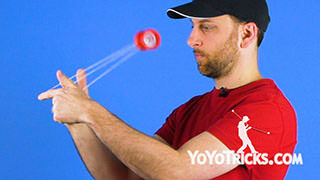 Learn how to do the Kamikaze Mount Yoyo Trick. 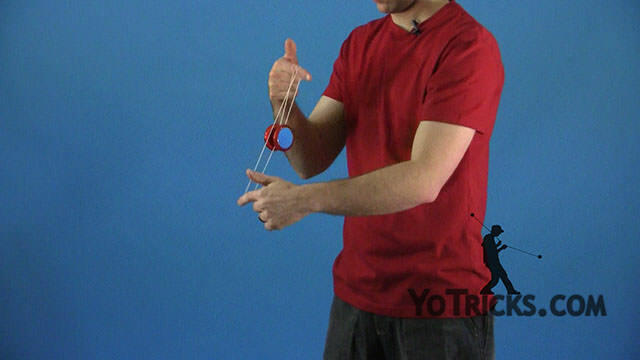 Kamikaze Mount Yoyo TrickThis trick is called the Kamikaze Mount, and it looks like this. I am going to show you a couple different forms, this is the most basic form right here. It is actually the same as the Mach 5 mount, except it is on the Side-Mount. 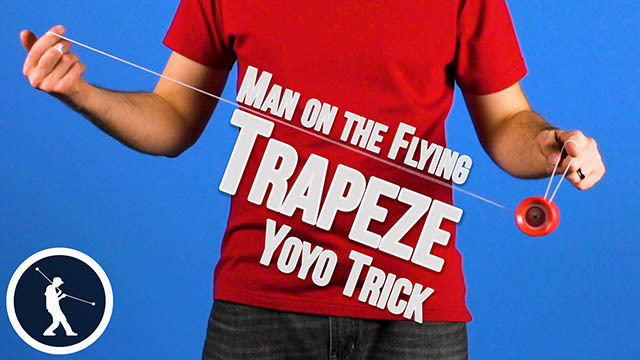 This is a mount that leads into the trick Kamikaze, but we are going to show it to you in a separate video because it is actually a trick that leads into a whole bunch of other tricks as well, and I am going to show you one more advanced version in this video as well. 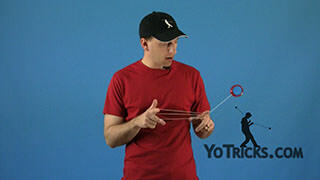 To get started, you are going to start with a Houdini Mount. Now some people call the Houdini Mount the Kamikaze Mount, but as you know from us we are going to call that the Houdini Mount. 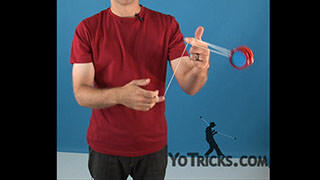 To get into the Kamikaze Mount you are going to take the string that is coming off of your yoyo hand and you are just going to hook it underneath the yoyo, just like that. 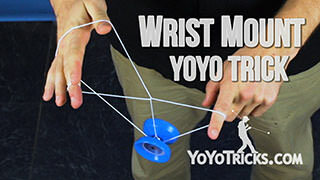 Then you are going to let the string off of your thumb on your opposite hand and that is what gets you right into this mount. 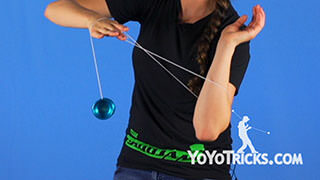 To dismount, all you are going to do is just roll the yoyo over your yoyo hand, pull your finger out of that string, and that gets you back into a Trapeze. Like I said, that is the most basic version of that mount. 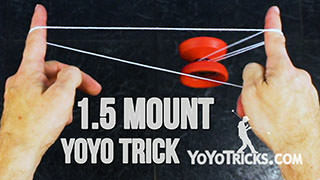 But it is actually not the version of that mount that is used in the trick Kamikaze, especially if you are doing the trick ladder. 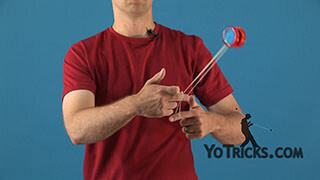 I am going to show you that next. 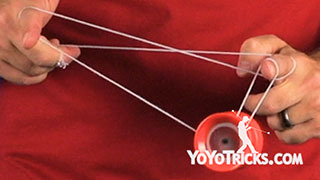 What you are going to do is, instead of hooking this string underneath the yoyo like I showed you, you are actually going to throw the yoyo into this top string. 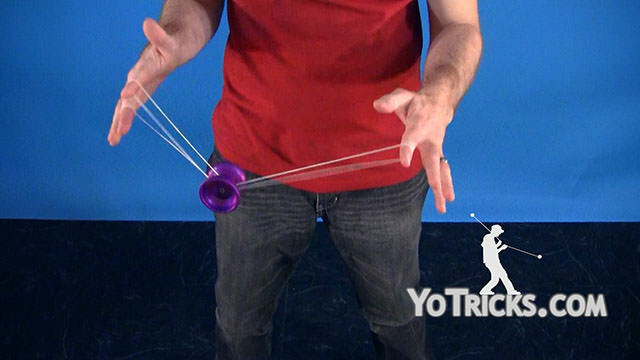 As soon as it hits that top string you are going to let it off your thumb here. 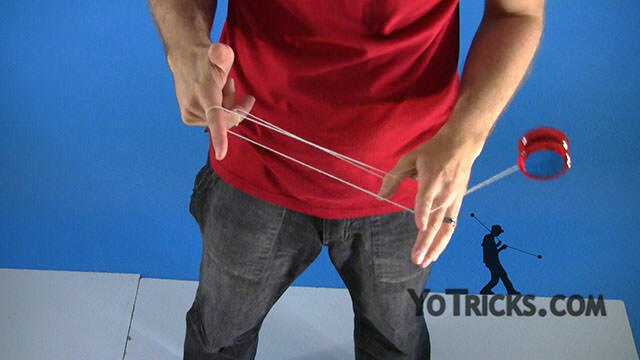 To achieve that you are going to have to bring your hands together. 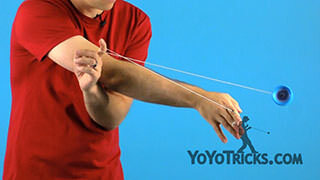 and then spread them apart. 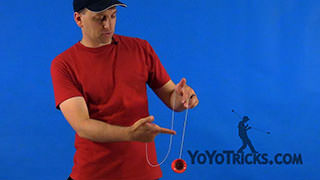 You can see that I missed on the back there, that can happen, so you can just bring that other string underneath the yoyo and that can correct it. 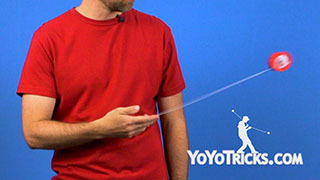 Let me show it to you again. 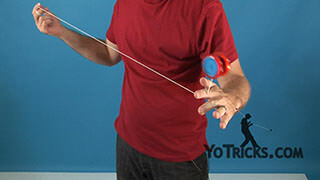 Again, you just throw it into the top string, you are going to unhook it from your thumb when it hits the top string, it will fall down, hopefully, on that bottom string. That gets you into the exact same mount. 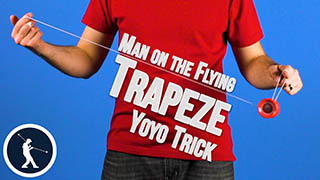 That is, again, the proper mount for the trick Kamikaze. You want to make sure that you learn that. Just like that. 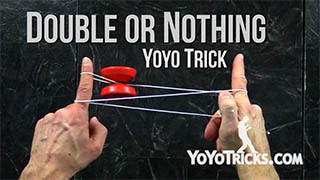 Again, you just want to dismount the trick, bring it back to your hand. 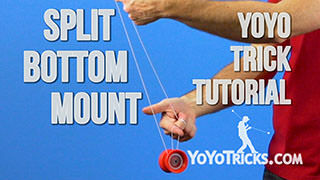 There are a whole bunch of other variations for how to get into this mount, because it is so useful. 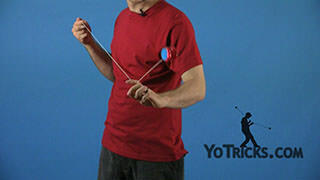 We are going to show you those in another video. For now just work on those two variations and get them down because it is going to lead into a whole bunch of tricks. 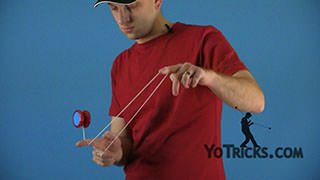 That is the Kamikaze Mount.